Tragedy hit me a couple of weeks ago, when in the craziness of December festivities I went out for dinner with my colleagues rocking this look (here) with MAC Rebel on my lips. After dinner we went out to a pub with live music and as usual I can’t keep my hands to myself so while dancing my beloved lipstick bullet fell out of the (bad bad) clutch I had with me and was nowhere to be found. Tragedy. While I was wondering whether i was going to repurchase the lost treasure (which I did the next day), I went through my lipstick collection and found a very close dupe! I kid you not! 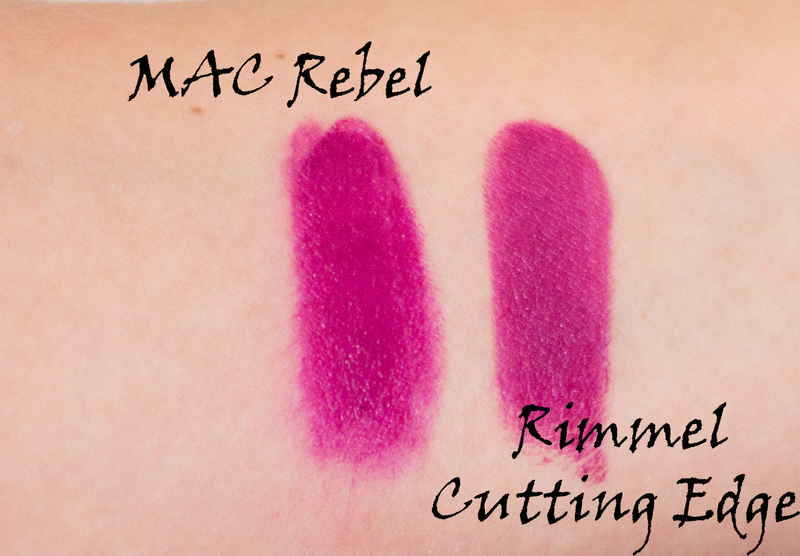 The drugstore dupe for MAC Rebel is the Rimmel Lasting Finish lipstick in Cutting Edge. First of all, you can see from the swatches above that the color is extremely similar, a gorgeous pink-purple-berry that is unbelievable. I find Rebel to be slightly more punchy and vibrant but the tone is incredibly similar. The texture of the two is creamy and incredibly comfortable and they both have a slightly shiny finish. Regarding the lasting power, both lipsticks last 4-5 hours easily, but the main difference is that MAC Rebel stains my lips with a bright fuchsia wash of color whereas the Rimmel doesn’t, so I need to retouch after lunch only when I’m wearing Cutting Edge. So my final verdict is yes, Rimmel Cutting Edge is a good drugstore dupe for MAC Rebel and it is only 10€ when you have to buy it full price, but as usual at the drugstore you can easily find it for half price, like I did, and bring this home for only 5€. 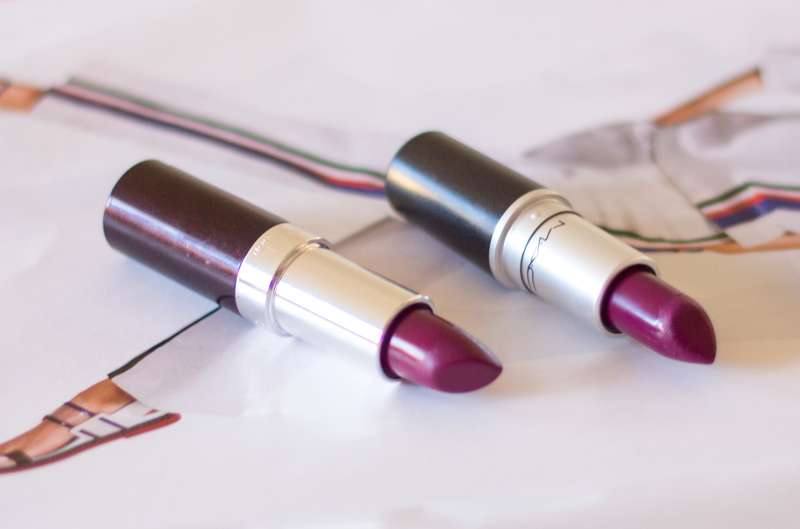 Have you ever tried this or another dupe for MAC lipsticks?